Our children arrive into the world empty-handed and within days of their birth, the clutter begins! The clutter starts off with diapers, clothes and rattles and as they begin to grow, so does the amount of items and clutter they obtain. You may begin to ask yourself how much stuff does one little person really need? Maybe your children are now in elementary school or have entered the teen world. 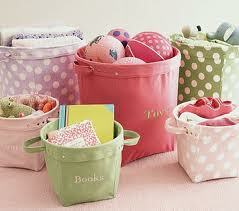 No matter what stage of life your children are in, their items can clutter and overtake their rooms and your home. To de-clutter it all and keep it under control you have to begin with a system that works for you and your children so they can help maintain their clutter. Click here to read my simple De-Clutter Children Clutter steps over on the SC Johnson Home Economics blog. In 2010, JC Toys introduced a beautiful new baby doll, Lola! Lola was originally dressed in a cute summer outfit complete with bathing suit, hat and sandals! Lola is back and is now available in fun new outfits and in a cute crawling pose. Lola has such a happy expression and is sure to put a smile on anyone’s face! Lola is a 14” all vinyl doll. She is wearing a frilly onesie with matching headband. Also included is her plush ball for playtime fun! WIN: 24/7 MOMS and JC Toys are giving away a 14" Crawling Lola Doll! US entries only and one entry per person. Winner will be chosen on December 10, 2011. * We received a complimentary Crawling Lola Doll for review no financial compensation was received. Let's see how many houses we the 24/7 MOMS can ring and run this Christmas season. Choose one of these fun ideas and get ready for some family fun in the neighborhood. Choose 1 or 2 neighbors to STAR this Christmas season and watch your entire neighborhood light up with stars on their doors. All you need to do his bake a few treats or purchase treats at the store, once it is dark outside grab your kids and get ringing and running as you STAR your neighbors. Complete instructions and printables are FREE from 24/7 MOMS by clicking here. Choose 1 or 2 neighbors to Jingle this Christmas season and watch your entire neighborhood begin ringing with bells on their doors. All you need to do his bake a few treats or purchase treats at the store, once it is dark outside grab your kids and get ringing and running as you jingle your neighbors. Complete instructions and printables are FREE by clicking here. AnyBook Reader is an interactive reading device for parents & kids 3+. Unlike anything else on the market, AnyBook Reader allows you to record YOUR voice reading ANY book from your personal library; which can later be used for playback. It's an intimate learning experience for parents and kids to do together, and great for your children when you can't be there for story time (due to work, travel, etc). It's also an additional bonding opportunity for grandparents or any other long-distance relative who wants to participate in reading with the toddler in his or her life. Because it can be used with literally ANY book in your home library, it’s the most affordable solution with no software, no special books to purchase, and no limitations in language or content. Plus, the kids have fun recording their own voices reading too! There are two versions: 15-hour edition and 60-hour edition and are sold at Barnes & Noble, Borders, Target, Amazon and Franklin's website. 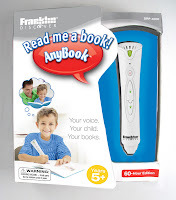 WIN: 24/7 MOMS and Franklin are giving away a Franklin AnyBook Reader, 60-hour edition. 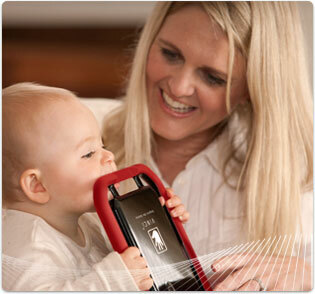 * We received a complimentary Franklin Anybook Reader for review no financial compensation was received. 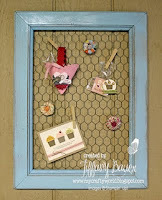 I have seen these in Etsy stores, on Pinterest and other places and now I discovered the DIY ( do it yourself) instructions to create my own over on My Crafty World. Click here to get the full how to instructions. I See Me! Inc. provides the highest quality, most personalized children's book available. Our mission is to increase self esteem in children through personalized books that celebrate the uniqueness of each child. The goal of our books is to show each child how absolutely unique and special he or she is, to teach the child how to spell his or her name, and to build vocabulary skills. Each of our books make great gifts that children are sure to cherish for a lifetime! One of our popular personalized gifts for kids, A Christmas Bear for Me is a beautiful, heart-warming, personalized story about a child's Christmas wish for a special Teddy Bear friend. Written by Jennifer Dewing and illustrated by the nationally renowned artist Wilson Ong, A Christmas Bear for Me captures the anticipation leading up to Christmas morning and the magic of receiving a special gift from Santa. 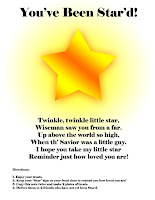 One child is the "star" of the Christmas book and their name is featured throughout the story. The child's name and the names of his or her siblings or relatives are incorporated into intricate illustrations of stockings across the mantle and the ornaments on the tree and Santa's list. Gift set includes a cuddly, mini 6" Gund® plush bear that is designed to match the bear in the story. 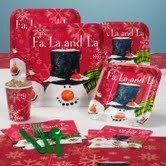 Gift set also includes a personalized letter to the child from Santa! Children ages 0-8. Winner of Mom's Choice Award and Creative Child Magazine' Book of the Year Award. Click here to Like I See Me! on Facebook. WIN: 24/7 MOMS and I See Me! are giving away A Christmas Bear for Me Gift Set. * We received a complimentary I See Me! A Christmas Bear for Me Gift Set for review no financial compensation was received. Little ones will love baking play with the Cupcake Kitchen from Little Tikes! 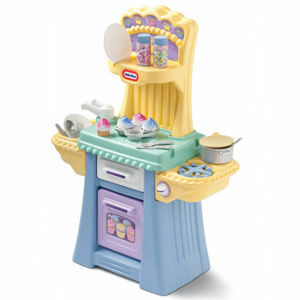 It's the perfect size for your budding pastry chef, and this kitchen comes packed with fun for creative and imaginative role play! 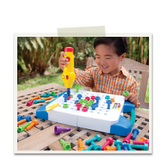 Click here to Like Little Tikes on Facebook. Click here to find Cupcake Kitchen on Little Tikes website. Quaker Pet Group is committed to providing pet products that will enrich the lives of pets and their pet-parents worldwide. Its growing group of brands features a wide variety of innovative, high quality toys, apparel, and specialty healthcare products for dogs and cats. 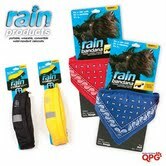 Click here to find Rain products. Click here to find Hear Doggy products. Click here to visit Woof Wear Organics website. Growums provides a unique and exciting option with specially-themed garden kits for kids that combine learning and fun with a unique and exciting online educational experience to grow vegetables and herbs from seed to harvest. Click here to Like Growums on Facebook. 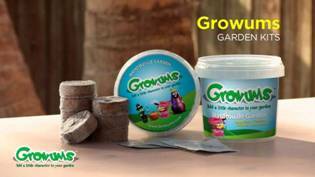 Click here to visit Growums website. 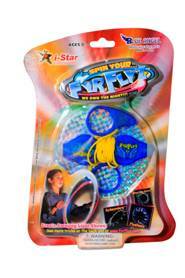 Fyrflyz is the revolutionary new spinning toy that puts the power to create a spectacular light show in kids' very own hands. Click here to Like FyrFlyz on Facebook. Click here to visit FyrFlyz website. 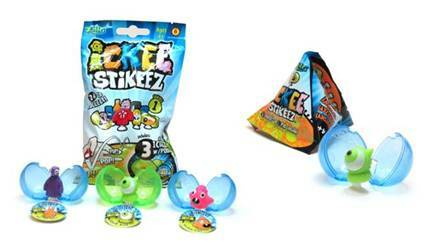 ICKEE Stikeez, from ZING Toys, are the squishy, squeezy, sticky collectible figures with patented suction cups. Click here to Like Zing Toys on Facebook. Click here to visit ICKEE Stikeez website. 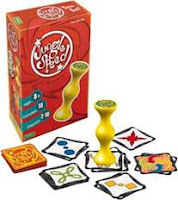 Jungle Speed is an exciting game of quick thinking and lightning fast reflexes. Think classic card games Spoons or War, embellish the cards with abstract shapes and colors and add a call to action to race opponents to a totem. Click here to visit Asmodee's website. 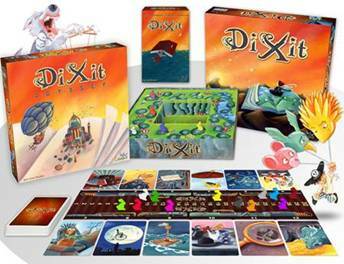 Dixit is an exciting game of storytelling through imagination and clues. Artistically designed cards tell a different story for every individual and put creativity to the test! 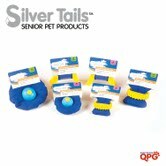 Silver Trails from Quaker Pet Group, is a new line of products dedicated to the unique needs of Senior Pets, which make up about 50% of the US pet population today. Click here to Like Silver Trails on Facebook. Click here to visit Silver Trails website. Sherpa's Pet Group is the prevailing source for pets on the go. The Sherpa Sport Sack is perfect for Moms on the go. It features mesh panels for ventilation, top entry, convenient shoulder strap and reflective trim for safety. Click here to visit Sherpa Pet's website. Q: If you could establish one charitable organization, what would it be? Q: What do lions sing at Christmas? We made the big three gift announcement to our children at the Thanksgiving dinner table. 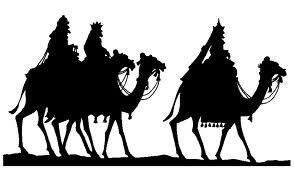 Each child will get three gifts for Christmas - my oldest son added in "Just as the wise men brought three gifts to Jesus it was good enough for him it should be good enough for us". My goal this year is to Commit to Spend less on gifts, Give more Presence, and Love like Jesus teaching my children the true meaning of Christmas. Today I asked my youngest if he wanted to make his Christmas list he responded with "It's so hard, are we really only getting three gifts?" I used this as a teaching opportunity asking him why we celebrate Christmas, asking him for his ideas of what could we do this year to give more presence and love like Jesus would to others and to our family. We discussed ideas such as delivering treats to our local firemen, collecting food for those who may not have a Christmas meal as he will and taking time for others. It was fun to see him beginning to get it - That Christmas is not all about the gifts and what we get but about celebrating the best gift that was given to us Jesus. Looking forward to the days ahead as I continue to find ways to teach my kids the true meaning of Christmas. "Would you believe, I did not have an obsession of clocks? Nope. Rather an obsession with creating and design. I remember exactly where I was the moment I was struck with a bolt of lightening (OK, not literally, but you know what I mean). This idea engulfed my mind and I began immediately creating prototypes of clocks with photo memories as the subject. The year was 2008 and my life has not been the same since. Ridiculous amounts of time, energy, tears, laughter and many, many compliments (and suggestions and guidance) have gone into the creation of For All Time Clocks. And as we approach 2011 Christmas Season I just want to say. Thank You. We wouldn't be who we are without our admirers, supporters, fans, friends, and family. We hope you'll find us under your tree...err on the mantel this Season. All it takes is a favorite memory captured in time. 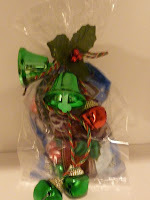 Christmas Orders - must be received by 12/1/11 in order to have in time for Christmas. 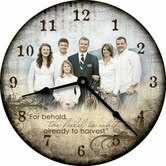 Click here to order your For All Time Clocks. Click here to Like For All Time Clocks on Facebook. Click here to Follow For All Time Clocks on Twitter. * We received a complimentary For All Time Clock for review no financial compensation was received. The 25 day count down fun is about to begin with lots of activities in the days ahead. 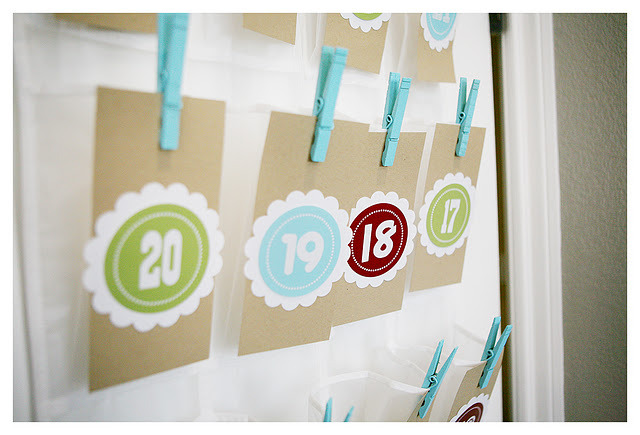 Here are 5 ideas to create your own Advent calendars. Looking for ideas for daily countdown activities? Click here to read about Christmas Countdown experiences verse things. 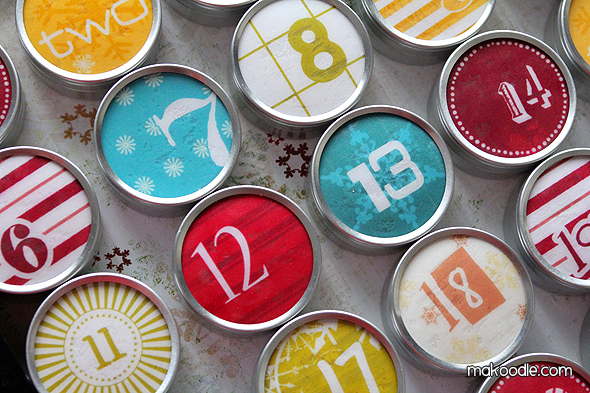 Makoodle created a fun and simple magnetic Advent calendar using the Wilton favor tins. 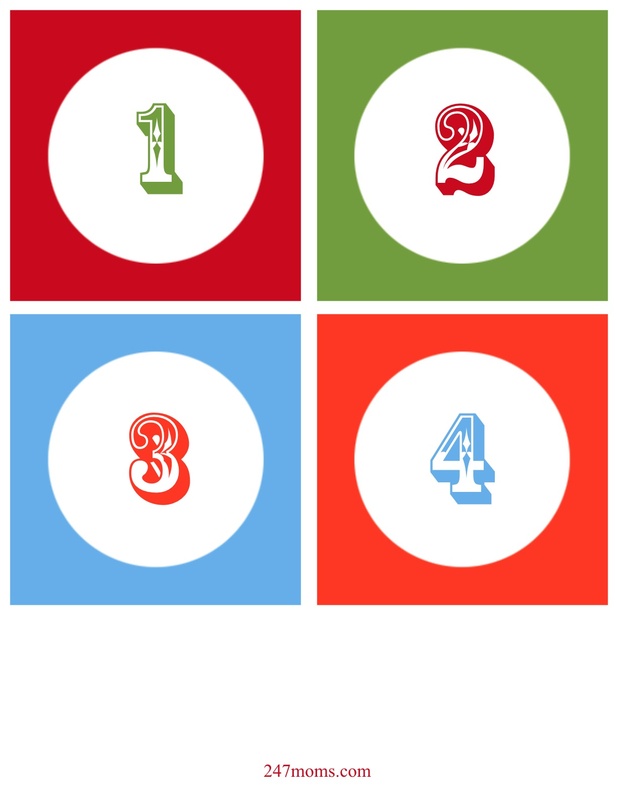 She even created free printables for the daily countdown numbers. Click here for her complete instructions and free printables. 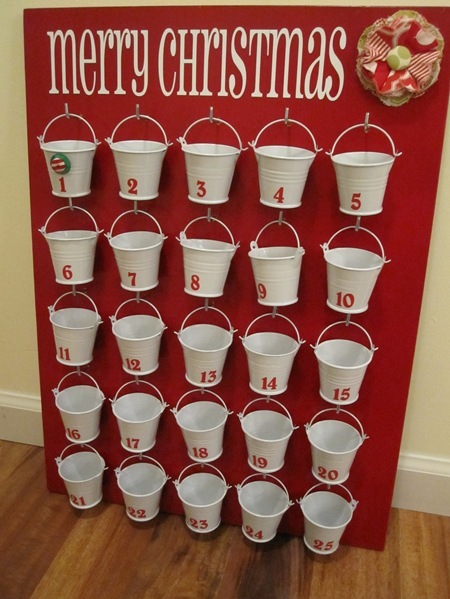 Here is a creative idea for an advent calendar using Dollar Tree pails and a large painted board from infarrantly creative. Click here for complete how to instructions and create a fun tradition. This would be also cute for Valentines day with some changes. 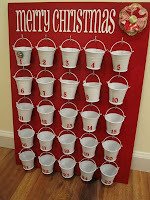 eighteen25 dreams up some of the best ideas including this over the door shoe organizer Advent count down. eighteen25 even provides the free printables numbers and simple how to instructions. Click here to go to eighteen25 now. Use either lunch bags or small colored bags yo can purchase at your local craft stores. Print and place the FREE printable numbers on each bag. Then Place each note in a numbered Bag and fold the top of the bag down and close secure with tape or a sticker for no peeking opportunities.. You can download our 25 day count down numbers by clicking here. No time to create an Advent - when i first began the 25 Days of Christmas countdown I purchased Green and red envelopes. I numbered 25 envelopes and placed our daily activity into each envelope and then gave one envelope out each day for the kids to open. This was quick and simple. Turn Stamps and Stationery into Unique Treasures! 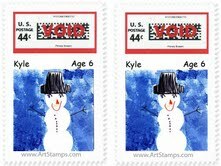 ArtStamps lets you customize real US postage stamps, stationery and over 500 other products with your children's artwork and photos. When a child creates artwork and experiences it coming to life on a product, it boosts their self-esteem and confirms that their art deserves attention! Spread smiles from your home to your family and friends when you send note cards and matching US postage stamps featuring a vibrant, full color image of your child's artwork. 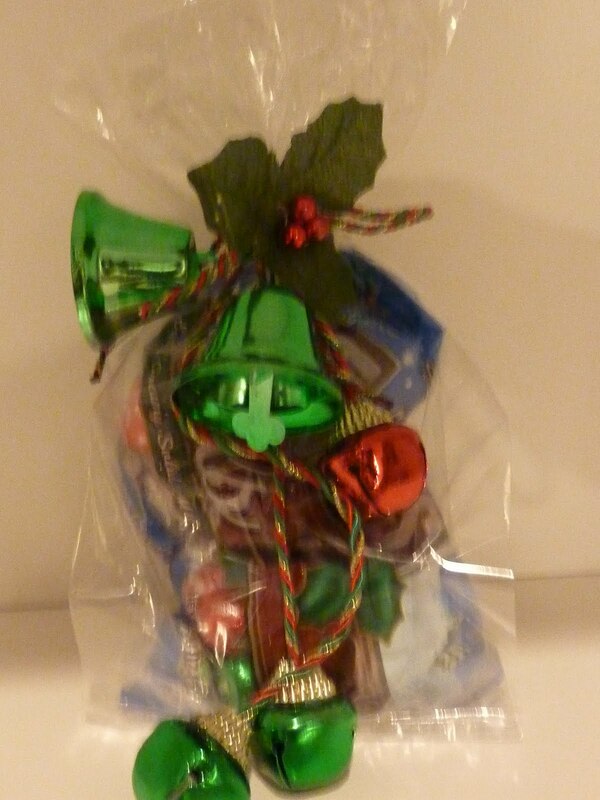 Great for holiday greetings or gift giving! Click here to start creating your ArtStamps. Click here to Like ArtStamps on Facebook. Click here to Follow ArtStamps on Twitter. * We received a complimentary ArtStamps custom stamps and notecards review no financial compensation was received. I am loving the new app from Sams Club to shop online, discover new items and even know what Samples are being handed out that day at the warehouse - Did I also mention coupons, deals and shopping list you can create - this is a mom must have app. Sam's Club, the nation's eighth largest retailer, reveals its incredible deals for the annual Cyber Week shopping event. 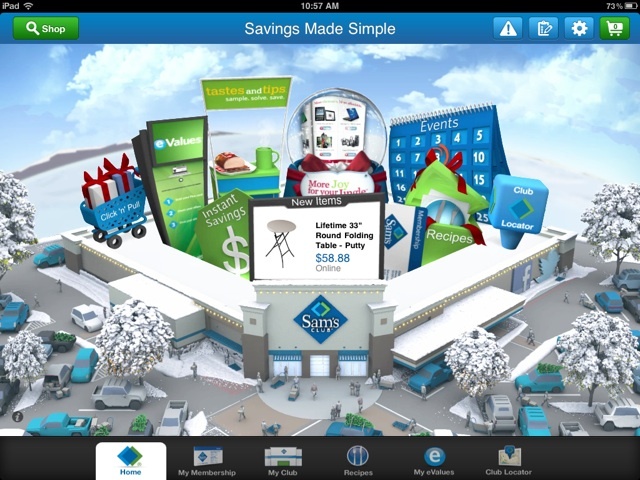 Sam’s Club members can stay home and “cybernate” while shopping from the comfort of their home at SamsClub.com—and via the Sam’s Club iPad® app and mobile app—for exclusive savings on top holiday gifts ranging from big screen HDTVs and electronics to stunning diamond jewelry and toys for kids. The shopping event runs through Friday, Dec. 2. SamsClub.com will also offer free shipping on select items* during the week-long holiday savings event. “With the holiday season upon us, Sam’s Club is proud to offer our members online-exclusive values for all their entertaining, gift-giving and decorating needs,” said Fred Quandt, vice president of eCommerce at Sam’s Club. “And just in time for Cyber Week deals, we’re excited to announce the launch of our brand-new iPad® app that will revolutionize the Sam’s Club shopping experience with features like one-tap checkout, interactive recipe finder and customizable shopping lists. As the only warehouse club that offers an iPad® app for both online and in-club items, Sam’s Club makes it even easier to shop for those last-minute holiday purchases. Additionally, members can sign up for the Sam's Club daily “Holiday Value of the Day”—now through Dec. 24, 2011—to receive online exclusives, gifts with free shipping and instant savings. 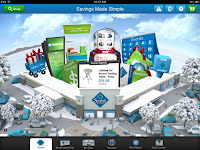 Visit SamsClub.com/holiday or download the Sam's Club mobile application to your iPad®, iPhone®, Android or BlackBerry. Most people think holiday gifts are meant to be wrapped with a bow, but the truth is that more than 800,000 people around the world were impacted by gifts last year through World Vision’s Gift Catalog that didn’t come with decorative paper or ribbon. · Goats ($75): One of the most popular gift items because its milk provides protein for children and the surplus can be sold. · Feed a family in the US for a day ($16): Here in the United States, 1 in 5 children lives in poverty. Gift givers can help restore hope to families that have been struck by disaster, homelessness or job loss. · A child’s education ($32): Supplying school fees, textbooks, paper and pencils will help a child reach their full potential. · Beehive ($150): Beekeeping is a sustainable, year-round way to generate income and is a great source of nutritious, medicinal honey and beeswax. · Traditional water well ($13,700): A well can provide more than 2,800 gallons of fresh water every day – enough for up to 300 people – for years to come. The best part about these gifts is that they are self-sustainable. For example, goats given to communities in Africa are purchased in Africa. This allows transformational community development within the most poverty-stricken villages. 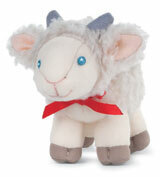 Gertie- the plush goat toy represents one of the most popular gift items from the World Vision’s gift Catalog. More than 20,000 goats were purchased last year. 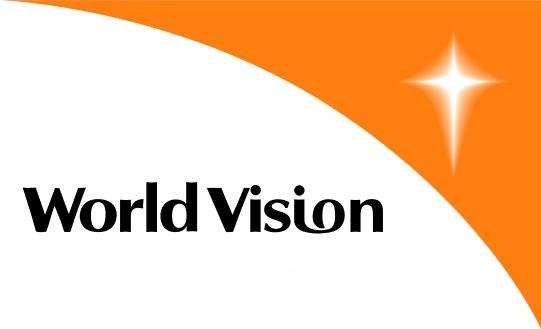 Click here to visit World Vision's Gift Catalog. WIN: 24/7 MOMS and World Vison are giving away a plush goat toy, Gertie. * We received a complimentary Gertie, plush goat for review no financial compensation was received. K-BEU Mom is an educational plush toy with a aside opening that allows children to explore what's inside: stomach, guts, heart and womb. Click here to Like Silly Creatures on Facebook. Click here to visit Silly Creatures website. 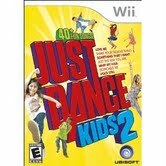 The second Kids title in the #1 dance game franchise worldwide, is now available in the North America for Kinect for the Xbox 360, PlayStation Move for PlayStation 3 and the Wii. Click here to Like Just Dance Kids 2 on Facebook. Click here to visit Just Dance Kids website. A charitable doll line and fashion collection from Playmates Toys, features six dolls from around the world who are authentically dressed and represents a girl who is working to change her community in ways unique to her home country. Click here to Like Hearts to Hearts Girls on Facebook. Click here to visit Hearts to Hearts Girls website. Created by a mom and designed exclusively for toddlers and preschoolers, VINCI is an innovative touchscreen Early Learning System that aims to inspire the genius in your child! Click here to Like Vinci on Facebook. Click here to visit Vinci website. sweetriot is creating a sweet movement to fix the world, sweetriot sources our cacao directly in Latin America, uses recyclable, reusable packaging wich features original artwork by emerging artists. Click here to Like sweetriot on Facebook. Click here to visit sweetriot's website. 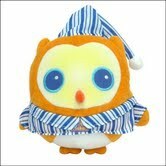 For children that frequently wake up before it's "OK to Wake," pressing the Owl's tummy will illuminate the soft yellow night-light. The Owl will gently say, "It's not time to get up yet!" or "Just a little bit longer." ScanDigital is the premier photo and home movie transfer service that specializes in the digitization of physical memories. 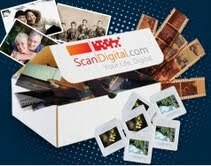 Click here to Like ScanDigital on Facebook. Click here to visit ScanDigital's website. We are constantly innnovating and launching new ways to celebrate special moments in family's lives. For this reason, our party business continues to grow and grow. Click here to Like Celebrate Express on Facebook. Click here to visit Celebtate Express website. Recordable Storybooks from DaySpring feature exclusive voice-capture technology that enables a person to record each page of a book and have it played back over and over as the recipient turns the pages. Click here to Like Dayspring on Facebook. Click here to visit Dayspring's website. The manufacturer of playful products with serious educational value, including subject-specific classroom projects, teacher resources, educational toys, and games. Click here to Like Educational Insights on Facebook. Click here to visit Educational Insights website. Q: If you could turn into any animal at will, which one would you pick? Why? Q: What is Santa's favorite breakfast cereal? 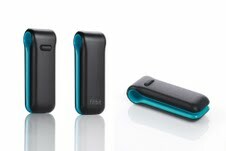 Fitbit Ultra is a wearable, wireless activity monitor that tracks steps taken, flights of stairs climbed, distance traveled, calories burned and sleep quality to give you a 24/7 picture of your health. Online, you can log food, weight and other physical activities, and also connect and compete with friends and family to track progress and meet goals. WIN: 24/7 MOMS and Fitbit are giving away a Fitbit Ultra. * We received a complimentary Fitbit Ultra for review no financial compensation was received. 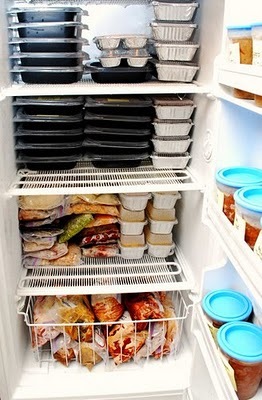 This picture says it all organized, ready and prepared - that is how I desire my freezer to look filled with freezer meals organized and ready to fill my families hungry appetite each night. This method is used for your meals that are liquid-based, such as soups, chili's and stews or your semi-solid foods such as meats in marinades, stroganoffs, pre-cooked meats, etc. Tryout one of my families favorite feed the freezer recipe from the Don't Panic - Dinner's in the Freezer cookbook. Host a family game night with your kids to create family memories - be sure to have lost of yummy snacks and try out these new fun games. McNeill Designs for Brighter Minds game package includes the 17 national award winning game of You've been Sentenced! and all of the Add-on-Decks so you can flavor the game to your taste with subjects like Gourmet Cuisine, Pop Culture and even NASA Space Terminology! 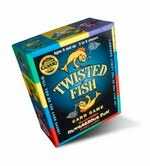 We’ve also included Twisted Fish, winner of Creative Child Magazine’s Game of the Year in 2007 where we have put a challenging memory spin on the old game of Go Fish and our fridge magnet with attitude the Wheel of Chore-ture that will help you get some help around the house – Just spin your chore! Click here to Like McNeill Designs on Facebook. WIN: 24/7 MOMS and McNeill Designs are giving away a Brighter Minds Game Package including: You've been Sentenced!, all 6 of the Add-on-Decks, Twisted Fish and the Wheel of Chorture Games. * We received a complimentary Brighter Minds Game Package for review no financial compensation was received. The store isles are filled with lots of Christmas treats and candies ready to create a fun 12 days of Christmas candy advent for a neighbor, college student, teacher or others in need of a sweet gift this Christmas season. Simple to make and yummy to eat. 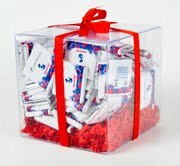 Choose 12 various types of candies and find coordinating stories to print off and attach to each type of candy. 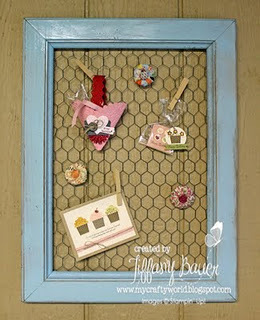 We found a list of examples over at The Craft Patch and their complete how to instructions. Click here to go to The Craft Patch.